This page (together with the documents it refers to) outlines the terms and conditions on which we grant you access to and use of our website www.brompton.com and the terms and conditions under which we supply any of the products (“Products”) listed on www.brompton.com to you. Please read these terms and conditions carefully before continuing to use Our Site or ordering any Products from Our Site. You should understand that by ordering any of our Products, you agree to be bound by these terms and conditions. The terms and conditions do not affect your statutory rights as a consumer. 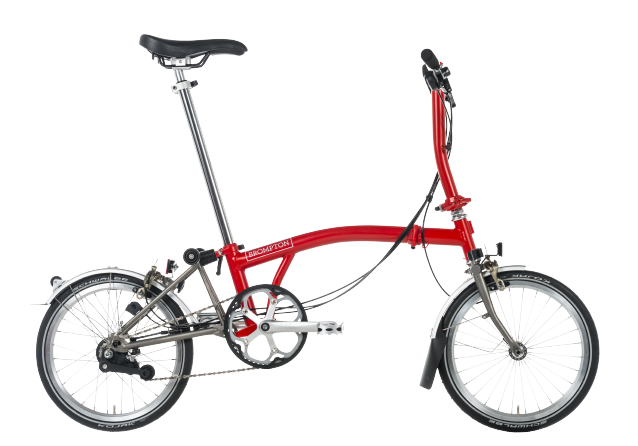 www.brompton.com (“Our Site”) is operated by Brompton Bicycle Limited (“we,” “us” or “Brompton”). We are registered in England and Wales under company number 1261512 and with our registered office and trading address at Unit 1, Ockham Drive, Greenford, London, UB60FD. Our VAT number is GB646228334. By using Our Site you agree to be legally bound by these terms, which shall take effect immediately on your first use of Our Site. If you do not agree to be legally bound by all the following terms please do not access and/or use Our Site. We may change these terms at any time by posting changes online. Please review these terms regularly to ensure you are aware of any changes made by Brompton. Your continued use of Our Site after changes are posted means you agree to be legally bound by these terms as updated and/or amended. You may not copy, reproduce, republish, download, post, broadcast, transmit, make available to the public, or otherwise use Our Site content in any way (except for your own personal, non-commercial use). You also agree not to adapt, alter or create a derivative work from any Our Site content (except for your own personal, non-commercial use). Any use of Our Site content requires the prior written permission of Brompton. You agree to use Our Site only for lawful purposes in accordance with these terms and condition, and in a way that does not infringe the rights of, restrict or inhibit anyone else's use and enjoyment of Our Site. Prohibited behaviour includes harassing or causing distress or inconvenience to any person, transmitting obscene or offensive content or disrupting the normal flow of dialogue within Our Site. Our Site content, including the information, names, images, pictures, logos and icons regarding or relating Brompton and/or its products and services (or to third party products and services), is provided "AS IS" and on an "AS AVAILABLE" basis without any representations or any kind of warranty made (whether express or implied by law) to the extent permitted by law, including the implied warranties of satisfactory quality, fitness for a particular purpose, non-infringement, compatibility, security and accuracy. any indirect, consequential, special or exemplary damages arising from the use of Our Site regardless of the form of action. We do not warrant that functions contained in Our Site content will be uninterrupted or error free, that defects will be corrected, or that Our Site or the server that makes it available are free of viruses or bugs. 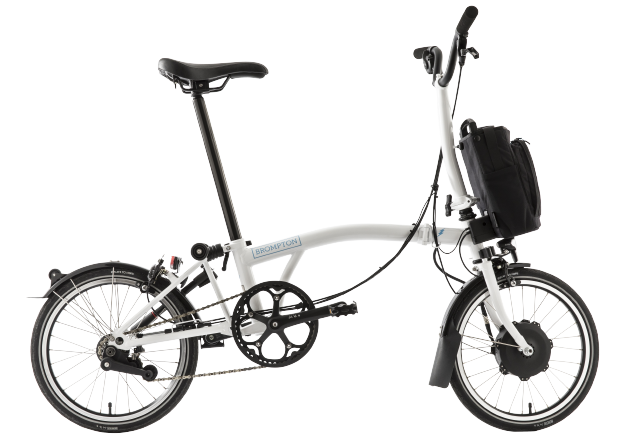 The names, images and logos identifying Brompton or third parties and their products and services are subject to copyright, design rights and trade marks of Brompton and/or third parties. Nothing contained in these terms shall be construed as conferring by implication, estoppel or otherwise any licence or right to use any trademark, patent, design right or copyright of Brompton or any other third party. Links on Our Site may lead to other websites. Brompton accepts no responsibility for the content, accuracy or function of such websites nor does Brompton endorse the contents of such sites. waive any moral rights in your contribution for the purposes of its submission to and publication on this Site and the purposes specified above. We will use personal information that you provide to us so that we can perform our obligations to you, including, if applicable: processing and updating you about your orders, delivery, payments and the Products. If there is any conflict between these terms and specific terms appearing elsewhere on this Site then the latter shall prevail. Your order constitutes an offer to us to buy a Product. All orders are subject to acceptance by us, and we will confirm such acceptance to you by sending you an e-mail that confirms that the order has been accepted (“Order Confirmation”). The contract between us (“Contract”) will only be formed when we send you the Order Confirmation. The Contract will relate only to those Products whose dispatch we have confirmed in the Order Confirmation (“Dispatch Confirmation”). We will not be obliged to supply any other Products which may have been part of your order until the order of such Products has been confirmed in a separate Order Confirmation. We are not responsible for delays outside our control. If our supply of the Products is delayed by an event outside our control then we will contact you as soon as practicable to let you know and we will take steps to minimise the effect of the delay. Provided we do this we will not be liable for delays caused by the event, but if there is a risk of substantial delay you may contact us to end the contract and receive a refund for any Products you have paid for but not received. We reserve the right to refuse any order placed by you at our sole discretion. If you are unable, for whatever reason, to take delivery of your Products on the Delivery date, we reserve the right to charge you an administration fee for each subsequent delivery that you request. Certain Products are available for collection from a selected store authorised by us (“Store”).You place an order for such Products (“Click and Collect Order”) from Our Site in the normal way but as part of the ordering process, you will need to select a Store from which you will collect your Product. We will provide you with an estimated date of when the Product will be available. When your Product is ready, we will dispatch the Product to the Store.We or the relevant Store will notify you when the Product has arrived in the Store for collection. You agree and acknowledge that we will share your details with the Store, which may be operated by third parties, in order to arrange and effect delivery and collection. You will then have a maximum of fifteen (15) days to collect the Product from the Store.If the Product is not collected within this fifteen (15) day period, we reserve the right to cancel your order and refund you the price you have paid less any costs we, the Store or our partners have incurred in relation to the cancelled order. On collection at the Store, you will be required to produce proof of your purchase and proof of your identity. You may not be able to collect the Product without providing these and clause 4.4 will still apply. The Store will inspect the Product for obvious damage in transit prior to collection by you. If the Product is a bicycle, the Store will also demonstrate the folding and unfolding mechanism to you when you collect the bicycle. You can cancel your Click and Collect Order in the same way as other orders placed from Our Site as set out in these terms and conditions (including without limitation clauses 5 and 6 below), provided that you must return your Click and Collect Order Product to the Store from which you collected the Product. If you are contracting as a consumer, you may cancel your order for Products within 14 days of the date on which the Products are Delivered (as defined in clause 9.2 below) to you for any reason. Please be aware that we are unable to cancel, refund or exchange the products which are bespoke or have been personalised to you unless they are faulty or not as described (please see clause 7 for further information about returning faulty goods). Please note that we will not reimburse your postage costs on returned items. You will be responsible for the cost of returning the item(s) to us in accordance with these terms and conditions and risk remains with you until we (or as applicable the relevant Store) receive the Product(s). These provisions do not affect any statutory rights that you may have. If you cancel your order in accordance with these terms and conditions, we will reimburse to you all payments we have received from you (including, if applicable, the costs of delivery except for the supplementary costs arising if you chose a type of delivery other than the least expensive type of standard delivery offered by us) in respect of the returned Products. We will make the reimbursement using the same means of payment as you used for the initial transaction, unless you and we have expressly agreed otherwise. We may make a deduction from the reimbursement for any loss in value of any Products supplied, if the loss is the result of unnecessary handling. Unnecessary handling is any handling over and above what is necessary to establish the nature, characteristics and functionality of the products (i.e. what you would do in a shop to inspect the products prior to purchase). For example, if the Product is a bicycle and it has been ridden on a road or public path, then since we cannot resell the bicycle, the deduction will be 100%.For the avoidance of doubt, we will not refund Product(s) which have been opened or tampered with or which have been consumed in whole or in part (unless the Products are defective and such defect was only apparent on opening of the Product). It is your responsibility to ensure products are returned in suitable packaging, we will make a deduction from the reimbursement of any items returned damaged if they are not suitably packaged. Where you are returning a cancelled Click and Collect Product (such as a bicycle), you must return it to the Store from which you collected it. You should ensure that the Product is returned in suitable packaging as advised by us or the Store.Representative(s) of the Store will inspect the Product and note any damage or marks on it.We will use the report from the Store to calculate any deductions from the reimbursement due to you resulting from any loss in value in the Product.Accordingly, although you do not have to do so, we strongly recommend that you stay and accompany the Store representative during the inspection to give any comments that you may have which may help us determine any deductions from the reimbursement due to you. Please note that we may withhold reimbursement until we have received the Products back or you have supplied evidence of having sent the Products back, whichever is the earliest. We will then reimburse you within 14 days of the earlier of these two events using the same means of payment used for the initial transaction, unless you have agreed otherwise. We may have to cancel an order before the Products are Delivered, due to an event outside our control or the unavailability of stock. We will contact you if this happens. If we have to cancel an order and you have made any payment in advance for products that have not been Delivered to you, we will refund these amounts to you. We are under a legal obligation to supply products that conform to the Contract. Therefore, if the products delivered are not of satisfactory quality or do not conform to the description provided or any of these terms upon delivery, you may cancel the Contract and obtain a full refund (including a refund of the delivery charges for sending the item to you and the cost incurred by you in returning the item to us) by returning the faulty Products to us within 6 months from the date of purchase. On notifying Brompton of your faulty goods, please provide proof of purchase (providing your order number will be satisfactory). Please note that we may withhold reimbursement until we have received the faulty Products back or you have supplied evidence of having sent the faulty Products back, whichever is the earliest. We will then reimburse you within 14 days of the earlier of these two events using the same means of payment used for the initial transaction, unless you have agreed otherwise. The Products shown on this website are a fair representation of the actual terms, although minor details may vary. All Products offered are subject to availability. We will endeavour to identify any “out of stock” products on our website – occasionally, large or frequent orders might mean we run of stock during the trading day. The Products will be at your risk from the time of Delivery (defined below in clause 9). Where the Product is to be delivered to an address specified by you and accepted by us: when the Product is so delivered. Where the Product is to be collected by you at a Store: when you have collected the Product. 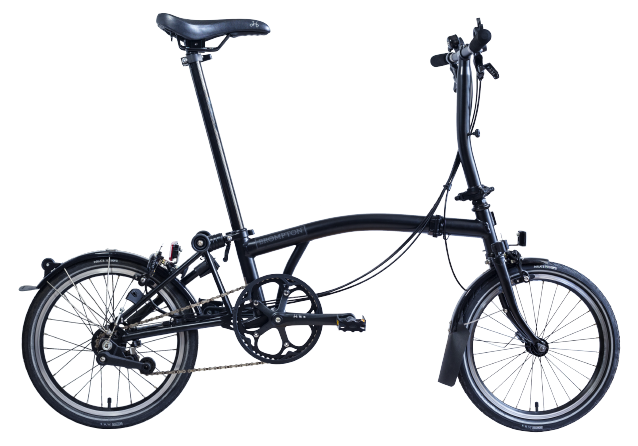 The price of any Products will be as quoted on our site from time to time, except in cases of obvious error.Discount codes may be available in specific cases, such as that set out in clause 10.8 below (Reserved BROMPTON ELECTRIC Bicycles). These prices include VAT if applicable but exclude delivery costs, which will be added to the total amount due. Prices are liable to change at any time, but changes will not affect orders in respect of which we have already sent you a Dispatch Confirmation. Our site contains a large number of Products and it is always possible that, despite our best efforts, some of the Products listed on our site may be incorrectly priced. We will normally verify prices as part of our dispatch procedures so that, where a Product's correct price is less than our stated price, we will charge the lower amount when dispatching the Product to you. If a Product's correct price is higher than the price stated on our site, we will normally, at our discretion, either contact you for instructions before dispatching the Product, or reject your order and notify you of such rejection. Payment for all Products must be by the credit or debit cards or such other methods as listed on our website checkout page when placing an order. Payment will be taken at the time of ordering. You undertake that the details you provide to us for the propose of ordering or purchasing goods are correct, that the credit or debit card or account you are using is your own and that there is sufficient funds to cover the cost of the goods or services ordered. Reserved BROMPTON ELECTRIC Bicycles - if you have reserved a place on our reservation list to purchase a BROMPTON ELECTRIC bicycle and has placed an order following email invitation we have provided to you within the relevant time period, the reservation fee we received from you will be deducted from the standard purchase price when you place an order for the BROMPTON ELECTRIC bicycle. If you have any complaint about our service or product, we would very much like to hear from you. Please e-mail us at support@brompton.co.uk or call us on 020 8232 8484 from 9am to 5pm Monday to Friday (except for Public Bank Holidays). We use the latest Secure Server Technology to ensure that all data submitted through our website is protected to the highest standards. Secure Socket Layer (SSL) encryption is used to ensure that all credit card and transactional information is secure. You can tell when the web page you are using is secure as the letters 'https' will replace 'http' in the browser address window. You will also notice a yellow padlock appear either next to your browser address window or at the bottom of your browser window. If you have any specific questions – contact us directly by e-mail at support@brompton.co.uk. Free standard postage & packing (normally £5.00) applies to order over £35 (inclusive of VAT) after any promotional discounts have been taken off. Free standard postage applies only to UK orders.